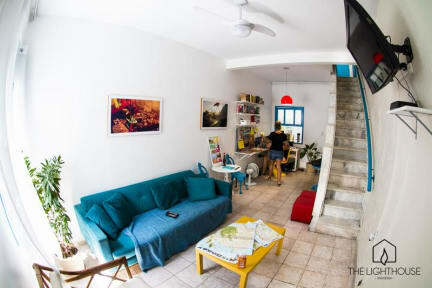 This is a cute, quiet place located within Ipanema, one of the most beautiful and well-known areas of Rio de Janeiro. Were only three blocks from the beach, surrounded by a wealth of restaurants, shops and, of course, bars and clubs. 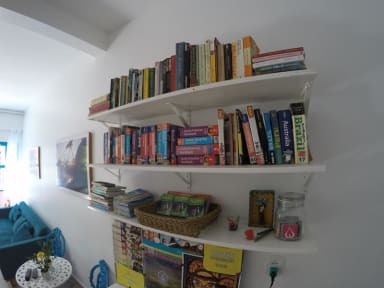 We have a gorgeous double room that can sleep up to four persons and an eight-bed mixed dormitory with air conditioning. You can watch cable TV and DVDs here. Our friendly staff have unique local knowledge of nightlife and local surf spots. We can also organise city tours, favela tours, hang-gliding, boat tours, Tijuca Forest tours, a 24hr cab service and tickets and transfer to football matches.